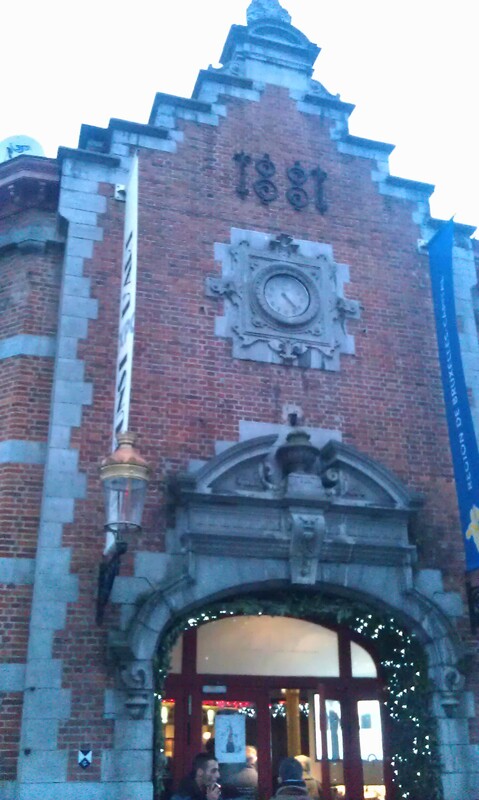 I was in Brussels over New Year’s to meet some friends. 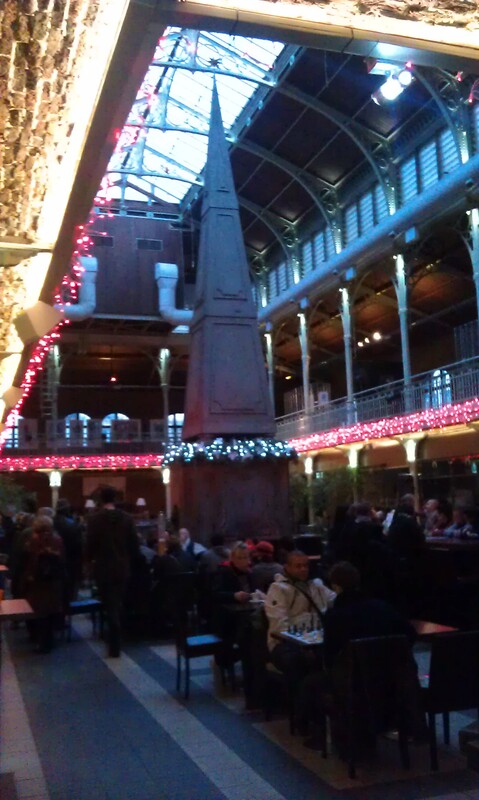 One afternoon we went exploring the city a bit and as it was quite cold outside we ended up in a place that I actually had been before and really liked: the Cafe des Halles. 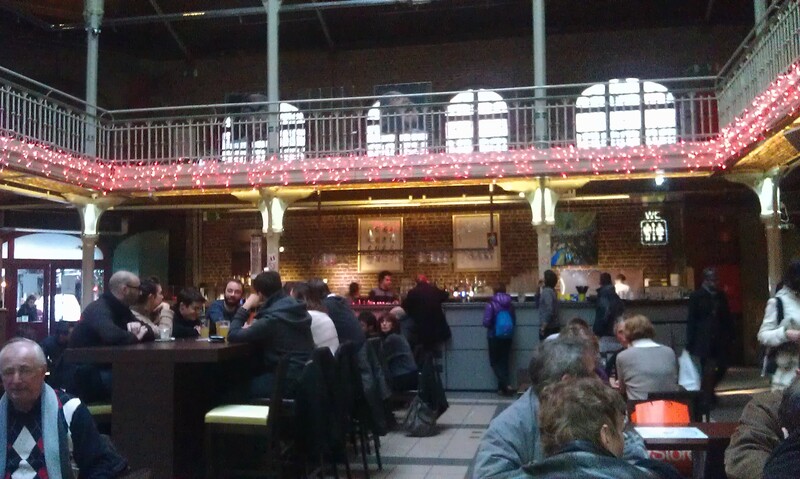 It is a cafe bar situated in an old market hall at Place Saint-Géry in an area with lots of bars and restaurants and very close to the metro station “Bourse”, the stock exchange of Brussels. The old market hall in Art Deco style was turned into a cafe-bar place on the ground floor and a bar-nightclub on the weekends in the vaulted basement. Its groundfloor interior screems old world, turn of the century. This is combined with low and high tables and chairs but also some sofas which are highly comfortable. You should know that they don’t serve you at the table. We waited quite a while for a waiter before we figured that out. You have to order at t he bar. The do clean the tables after people leave though and prices are not especially high for drinks like coffee or juice and they have a long menue for drinks, also serving cocktails for those who stop by at night. There is also a bar for food that you have to order seperately. 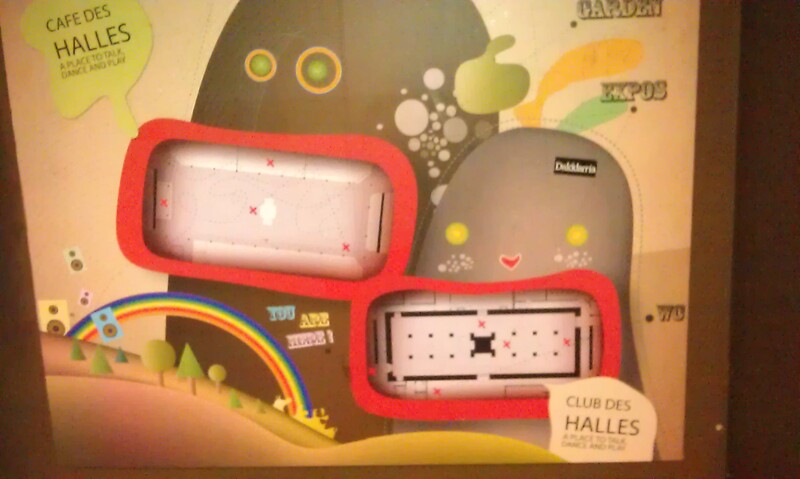 Down in the old vaulted cellar is the Club des Halles. It is a big room with a low ceiling. The old room with minimal but modern furniture has a special flair to it (on the picture you can see it already set up for a New Year’s Eve dinner). Drinks are quite expensive. If I remember correctly, and I went to the club about a year ago, long drinks were at 10€ per glas. But the party was really good with a good mix of electronical music and all time favourites. I think they have different kids of parties there though and you should check up in advance. If you are looking for a stylish place with a special twist to it in Brussels city center for a drink or a party, this is your place. And if you want to have dinner before and like Asian food, then the street leading from the Cafe des Halles to the Stock Exchange is your place. Here you can find a lot of really good Thai and Vietnamese restaurants that are always buzzing at night. 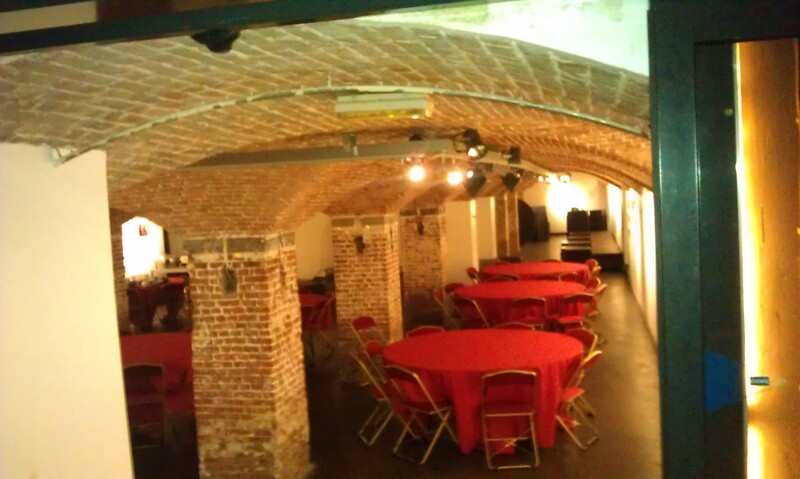 This entry was posted in Belgium and tagged Brussels, Cafe, Party, Review by kathatravelling. Bookmark the permalink.